Home » What is a Reverse Mortgage? In general, a Reverse Mortgage is a special loan that allows homeowners, who are at least 62 years old, the ability to access a portion of their equity without any repayment as long as they occupy the home. Doesn’t that sound great but too good to be true? Well, it is true! Are you interested in improving your quality of life during your “Golden Years”? Well, this program can do that for you. 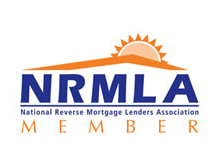 The reverse mortgage is a safe and smart financial option for many senior homeowners. Let’s find out more, see if you qualify, and help you determine if this loan is right for you!